Felt Board Stories: Fun Felt for Kids, Fun Home-Based Business for Grown-Ups! 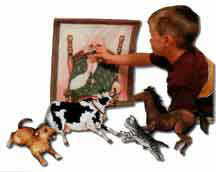 Story Time Felts offers the very finest in felt board stories and visual aids for learning and open-ended play. Strict attention is paid to the quality as well as the educational value of each product. We carry an extensive line of educational felt board story sets and non-denominational religious felts as well as dress-up dolls,including custom photo dress-up dolls, felt activity books, finger plays, puppets, and audio story and song CDs and more for preschool through school aged children. Help wanted! Join my team! We need help spreading the word! 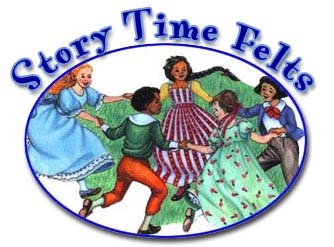 Story Time Felts produces its own products in the U.S.A. and sell them exclusively through Independent Story Time Felts Consultants like myself and those you will find on this site. Our felt is washable as well as colorfast - the artwork is much more detailed and "pops" more than other products. The Story Time Felts manufacturing process is unique in that the artwork is actually dyed into the felt for long lasting color and quality. It will last through generations of happy children's felt board storytelling! We have had many happy customers send in testimonials that let us know our quality and service is appreciated. You've really got to give it a try; you'll see what all the excitement is about! Children are natural storytellers but often their stories remain locked in their heads because they lack the ability to express themselves. Story Time Felts help parents and teachers bring back creativity and imagination to the children in their lives through beautiful felt products such as felt board story figures, activity books, dress up dolls and other educational felt items! Experts agree that kids these days are too "plugged in," so we offer something that is High Touch, not High Tech! Imagination is rediscovered and fostered with Story Time Felts! "The more a toy does, the less a child learns. The less a toy does, the more a child learns. " Our educational felt board story sets are multi-sensory and include stories, background educational information, lesson ideas and audio CD. How Much Information Do Children Retain? Story Time Felts and CDs help you get to 90%!